To keep your mouth in top shape, we recommend adults visit the dentist 6 monthly, for a thorough examination and clean. However, there are some mouth symptoms you should not ignore. Here are 5 signs that you might need to come in and see us straight away. Tooth or Jaw Pain. Never ignore a toothache! It is an obvious sign that there is something wrong. If it’s caused by decay, over time the cavity will just get bigger and eventually require more costly treatment. If it’s caused by an abscess, it will not get better by itself or with antibiotics. Sudden or increased sensitivity to hot, cold or sweet may be a sign of decay, a crack or gum problems. Jaw pain which is worse in the mornings may be a sign of teeth grinding at night. Most of all, be wary of pain initiated by heat, biting pressure and pain that disrupts your sleep. Bleeding Gums.Red, swollen or bleeding gums are a sign of inflammation. Inflamed gums are caused by hardened plaque that has accumulated under your gum line. Inflamed gums can often be a sign of gingivitis or periodontitis; a more advanced condition which can lead to tooth loss if not treated early enough. Bad Breath or Metallic Taste.Bad breath is one of the first signs of gingivitis. A metallic taste may also be an indicator of gingivitis. When left untreated, gingivitis can lead to periodontitis, which can lead to tooth loss and other serious health conditions. If you feel like you have bad breath even when you’re brushing regularly, you may have gingivitis. Persistent mouth ulcers or changes in the appearance of your mouth. Mouth ulcers can be quite common in some people. If your ulcer goes away within a few days, they shouldn’t be cause for concern. If you have one that won’t heal, however, you need to seek dental attention immediately.Take a peek inside your mouth each day when you brush to make sure everything looks normal. Look inside at your cheeks, your palate, the top of your tongue and underneath your tongue to make sure there is no discoloration, lumps or inconsistencies from day to day. If you notice anything unusual, see a dentist right away. Dry Mouth. Dry mouth can occur for a few different reasons. Sometimes, a dry mouth comes with age. It’s also a common side effect with many prescription drugs or could be a sign of a systemic condition such as diabetes or autoimmune disease. However, if there’s no explanation for sudden dry mouth symptoms, it’s important you see a dentist. This could be a sign of bacteria or disease in the mouth. Furthermore, healthy saliva provides natural protection for the teeth against attack from acids and sugars in your diet. Low saliva flow may increase your risk of tooth decay. 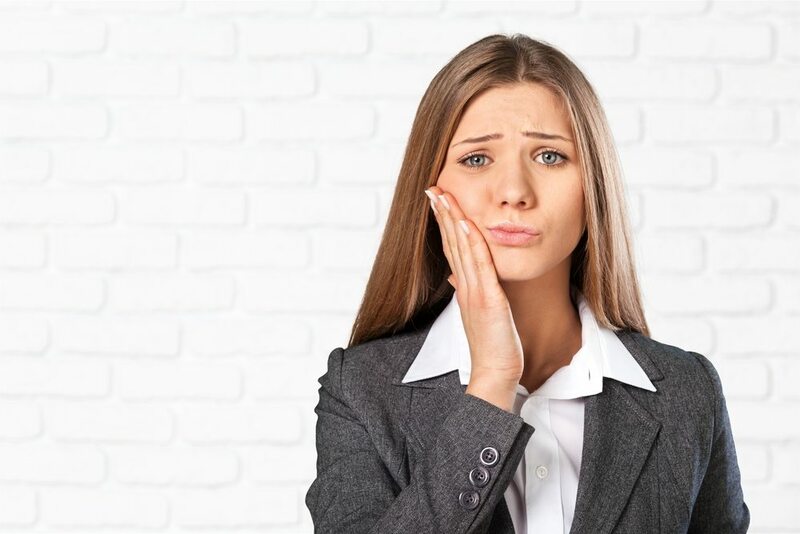 If you are experiencing any of these warning signs, don’t hesitate to make an appointment with our team at Oracle Dental.